Price Adjusted - Wow! Welcome to 1073-1079 E. Santa Clara in downtown Ventura. Four homes with great upside! 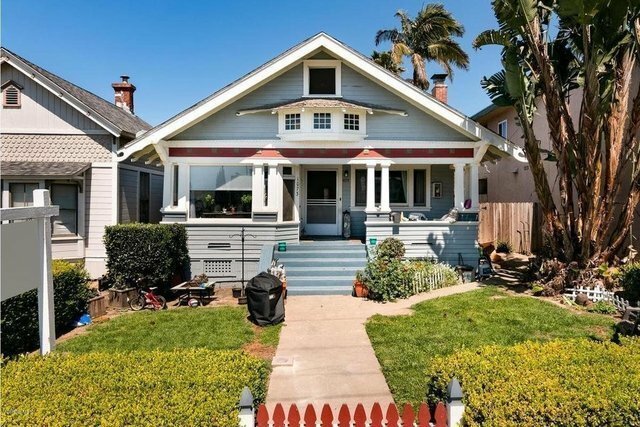 A Gorgeous, craftsman home built in 1907 was split into 2 units. 1073 is upstairs and has ocean views, 1075 is downstairs with fireplace - both offer 2 large bedrooms and bathroom with craftsman touches throughout. Behind the front structure are two stand alone homes, 1077 and 1079, accessed from alley. High demand rental area and walk-ability will sell this property fast! Separate gas and electric meters for each unit.